Trees for Tribs, as in tributaries, is a Department of Environmental Conservation program replanting New York’s streams. The program began in 2007 in the Hudson River Estuary and has since expanded statewide, working with partners across the state to plant native trees and shrubs for improved wildlife habitat, water quality, and storm resiliency. 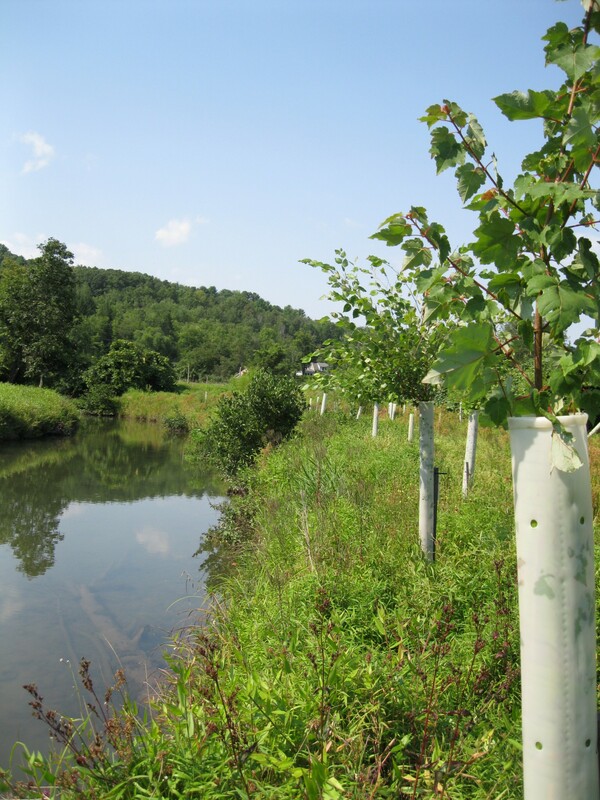 The program works with private landowners, municipalities, schools, and conservation organizations, providing technical assistance, low- to no-cost native trees and shrubs, and tree tubes for planting sites. The program currently has coordinators on the ground in six watersheds (Champlain, Mohawk, Hudson Estuary, Croton, Upper Susquehanna, and lower Genesee). Trees for Tribs works with other organizations outside of these watersheds to coordinate projects on the ground. We rely on volunteers to complete our plantings, and an average of 1,000 volunteers participate in the program each year to help us reach our planting goals. Our tree planting is supported through our partnership with the DEC State Tree Nursery in Saratoga, which grows New York seed-sourced, hearty native trees and shrubs that thrive in riparian areas and can withstand Northeast winters. With both volunteer and nursery support, we have planted 560 sites with more than 90,000 plants along streams! In 2017, we will be celebrating ten years of providing the benefits of trees along streams for the people of New York State. We will also be working towards additional grant programming to further expand our program’s reach. To learn more about the Trees for Tribs program and how you can be involved, please visit our website.